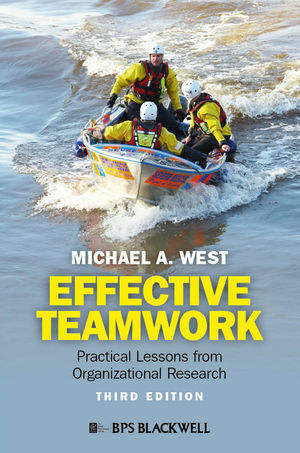 Updated to reflect the latest research evidence, the third edition of Effective Teamwork provides business managers with the necessary guidance and tools to build and maintain effective teamwork strategies. Michael West is Professor of Organizational Psychology at Lancaster University Management School, UK. Previously Executive Dean of Aston Business School, he has authored, edited or co-edited seventeen books. He has also published over 200 articles for scientific and practitioner publications, and numerous chapters in scholarly books. He is a Fellow of the British Psychological Society (BPS), the American Psychological Association (APA), the Society for Industrial & Organizational Psychology (SIOP), the British Academy of Management (BAM) and the Chartered Institute of Personnel and Development (CIPD).